Budgeting is a powerful tool in maintaining your personal finances. Using a budget program can help you to monitor your spending habits and analyze your personal finances. When you create budgeting worksheets to get your finances in order, you are making an important step towards managing debt and improving your financial condition. When you try to manage your money without a budget, it is extremely difficult to know how much extra money you have to achieve your financial goals. Financial goals for most people include paying off debt, saving money and controlling credit card spending. Budget worksheets allow you to see your debt and your income in one place, and make planning your financial goals easier. A budget allows you to see where every penny of your money is going. When you have a comprehensive spending plan in place, then you are able to see how much money you have left over each month to apply toward your goals. This makes reaching your financial goals easier. It also allows you to plan ahead for events such as holiday gift budgets and vacation spending. In order to reach your financial goals, you need to find ways to reduce your spending. A budget allows you to analyze your monthly spending habits and make the changes that can help free up more money. For example, you can see how much you are spending each week when you buy lunch at work and make plans to save that money by bagging your lunch instead. Another benefit to budgeting worksheets is the ability to see all of your credit card debt in one place. When you add up all of your credit card payments, you start to realize how valuable debt relief services can be. When you talk to a professional debt settlement organization, you can get your credit card debt reduced significantly and free up more money in your personal budget. It is common for people to buy something on account because it is a one-time purchase that is not very expensive. For example, people will send flowers on Valentine’s Day and have those flowers put on a store account rather than paying by credit card. It is a smart move because it saves on interest charges, but those little bills can add up on you if you are not careful. Budget worksheets force you to account for every bill you have coming in, and they make certain that you do not over-extend your income. When you use budget worksheets to get your finances in order, you are creating dynamic documents that help you control your spending. If you have a change in your income, then you can alter your budget to reflect that change. You can set a personal goal on the amount of open credit you want to have attached to your name and use your budget to stay within that goal. 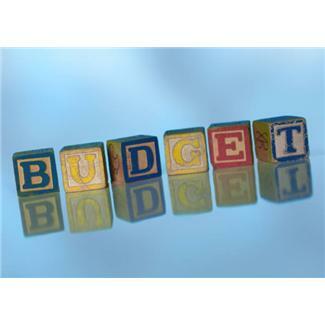 A comprehensive budget has a provision for emergency savings. When your car breaks down or you need emergency home repairs, it is common to reach for the credit card. If you could use cash instead, then that would help keep your credit card debt down. Emergency savings are a line item in your budget that you pay like a bill. It is a percentage of each paycheck, and it is a fund that you can use instead of an interest-bearing credit card. Putting together a budget can be complicated. We encourage you to call us and let our experienced professionals help you get your budget worksheets together. We can help you analyze that credit card debt and put together a debt settlement plan that will lower your monthly obligations. We can help you reach all of your financial goals and get you on the path to complete financial freedom. Fill out our online form today and let us show you how we can help you grab control of your personal finances.